SonoSim, Inc., a leading global provider of ultrasound education and training, today announced the availability of Continuing Medical Education (CME) Credit across an additional 32 SonoSim® Modules. 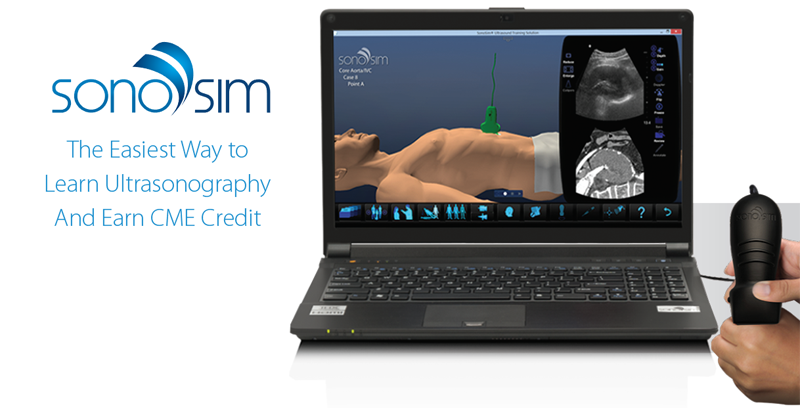 SonoSim® Modules deliver a maximum of 141 hours of AMA PRA Category 1 Credit™ CME. Participation in accredited CME activities is required for physicians, nurses, and diagnostic medical sonographers to maintain licensing, board certification, credentialing, and membership in professional societies. SonoSim’s recently approved CME Modules deliver a continuum of ultrasound education, ranging from basic to highly specialized ultrasound training. SonoSim® Modules are organized into Anatomy & Physiology, Core Clinical, Advanced Clinical, and Procedure Modules, each containing didactic education, assessment, and hands-on scanning practice using the SonoSimulator®. The ability to scan real-patient cases spanning a broad range of pathologic conditions is a unique feature of the SonoSimulator®.